I know many of you have seen those epic #DrinkTheMenu (which yes I'm going to start using that hashtag every time I hang out with The Minty) photos that feel almost overwhelming to any sane liver - and you very often ask me "How do I join in on the fun?!" Well now's your chance. Did you know that there's an EPIC... I don't even know if epic covers it. 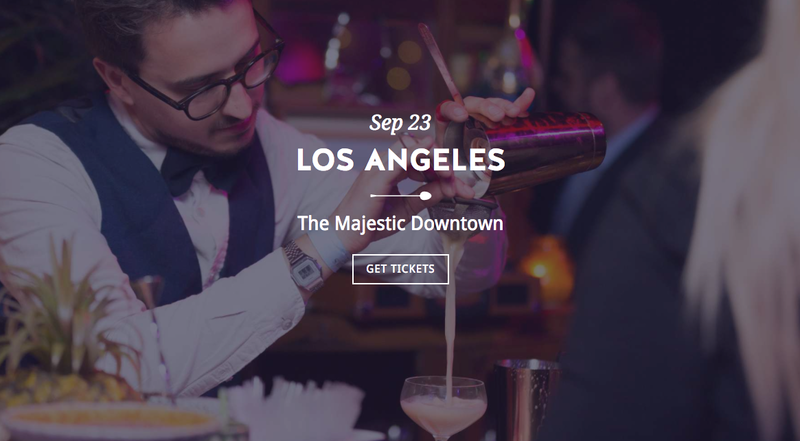 Colossal, astronomic, monster of a cocktail event coming to Los Angeles on Saturday September 23rd (2017) that features 30 bars all making custom cocktails? It's called Cocktails in the City and TBH it looks like the start of a very sloppy night. Tickets are $25 and include 1x cocktail and a "swag bag" full of goodies. Additional cocktails are $10 each... which given the talent booked for this event is a pretty awesome deal considering many of these bars can charge upwards of $16 a pop regularly. But this isn't a "tasting" event. It's a drinking event. I would highly encourage - well first I would highly encourage you Uber or Lyft there - but that you also bring a bevvy of cocktail loving friends so you can make the rounds and sip and share to taste all of the lovely concoctions the mixmasters are making. So who's in? And in case you're wondering - who in God's name created such an event? The answer is - The Brits. It's a festival that began 5 years ago in London, has been making the worldwide circuit, and Los Angeles gets to play home to it's first US landfall! Who knows when it'll come again - so whatever you're doing that Saturday night, cancel it and buy tickets for this instead. Also - it looks like if you download the Hooch app and use the code "cocktailscity" it'll save you $10 off the ticket price - or really, just give you a good excuse to get 1 more cocktail at the event.